Technique Tuesday DIY Die PULL STRIP 02085 at Simon Says STAMP! 02085 This item is on reserve until If you would like to reserve this item now, you may purchase it now with the rest of your order. We will hold your order now and ship your entire order as soon as this item is back into stock. If you would like your order to ship now, please place this item on a separate order. Success, Technique Tuesday DIY Die PULL STRIP 02085 has been shared! 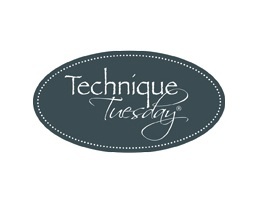 Technique Tuesday is committed to offering the most beautiful, high-quality, affordable clear stamps and paper crafting products, sharing the art of stamping, and their enthusiasm for paper crafting! Technique Tuesday pride themselves on designing products, showcasing techniques, and creating packaging with the fellow paper crafter in mind. Whether you prefer a simple style or an embellished look, are a beginner or have been crafting for years, Technique Tuesday products will help you create beautiful scrapbook pages, personalized handmade cards, unique gifts, and one-of-a-kind home decor items!